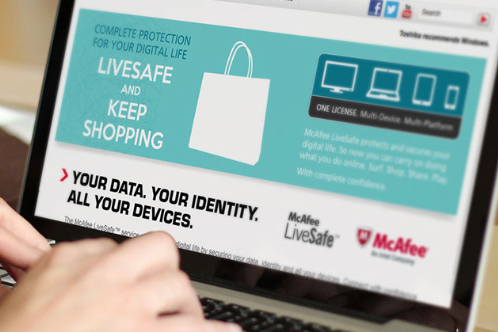 Keep your devices safe with McAfee Total Protection, a trusted antivirus, privacy and identity protection for your PCs, Macs, smartphones, and tablets whether you are offline or online. 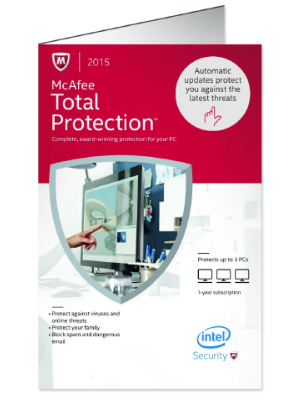 McAfee total protection ensures you are safe from online to shop, bank, browse the internet with just a quick install of the antivirus. The antivirus includes true key premium user accounts for identity protection and management along with file encryption to protect important documents stored on your windows PCs. 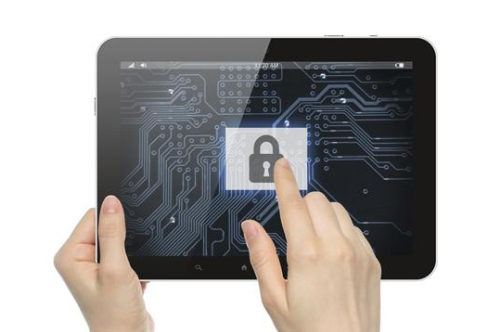 Setting up protection on different devices has been made easier by the My Network function of McAfee, which examines and reports on all the available machines connected to the local network. 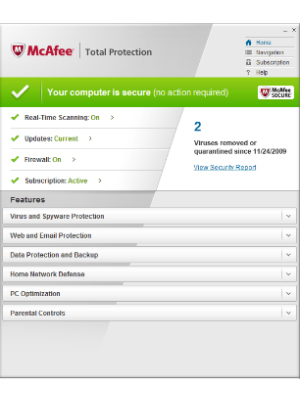 McAfee total protection lets you forget to worry about viruses and malware from every device including computers, tablets, and smartphones. 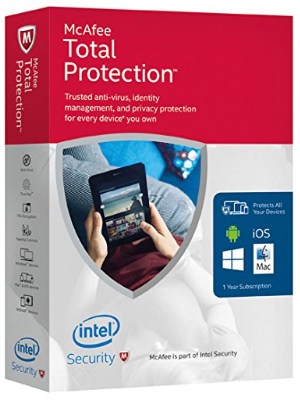 Total protection always is on guard offering complete protection whether your computer is at risk from spyware or unwanted programs such that your web safety, optimization tools, data, identity, and privacy stay secure. 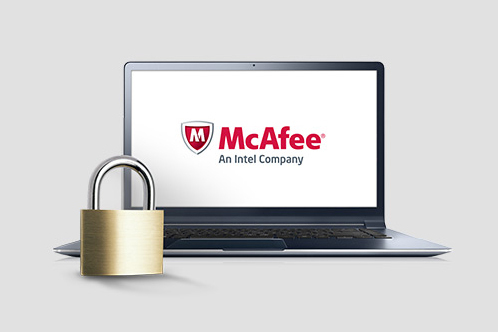 Surfing internet couldn’t be that safer as with McAfee total protection installed on your devices. You and your family members are highly protected with anti-spam and parental controls with a gateway of true key identity manager that lets you easily login into internet sites using facial recognition. 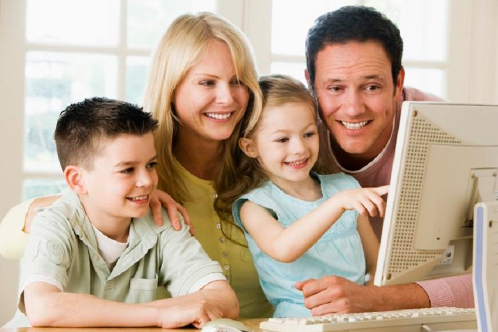 With parental control feature, your children have a safe online experience. Parental control allows you to block inappropriate sites, set internet time limits and download a detailed usage report to know what your children are looking at online. 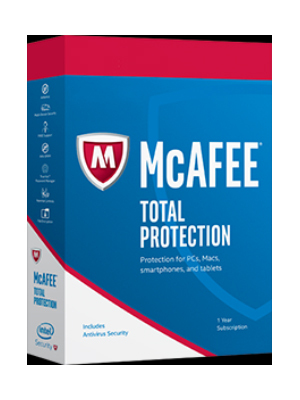 Besides protecting your PC from spyware, malware, and antivirus, McAfee total protection also prevents information from being stolen using anti-phishing software and it helps to protect your wireless network from being hacked or accessed. The user can remotely monitor the home Wi-Fi, make necessary security changes and check the security status of all the protected devices.